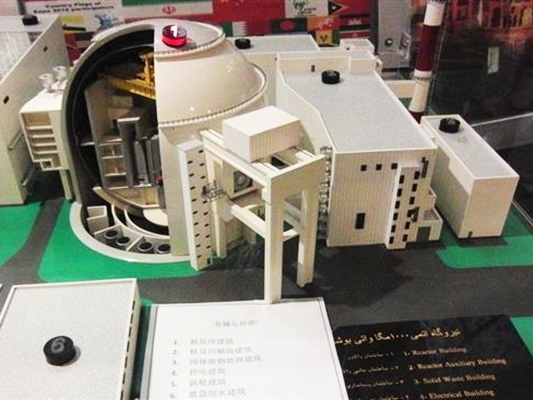 Head of the Atomic Energy Organization of Iran says European and Chinese companies are interested in the country’s nuclear power generation plans. Ali Akbar Salehi has told Kyodo News that Chinese companies had visited a new site for the construction of Iran’s fourth nuclear power plant on the Gulf of Oman and offered financial support. 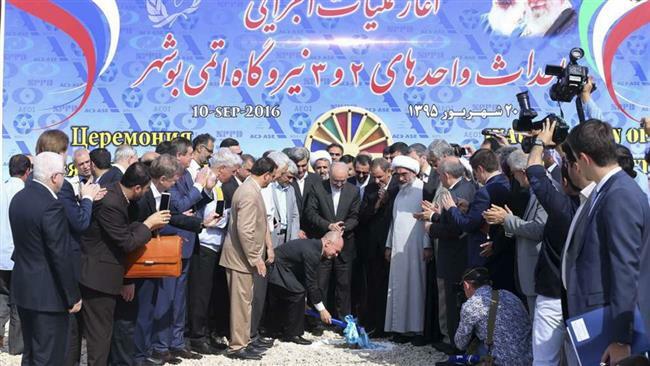 “Iran’s fourth power plant that we are going to build will be located in the Makran region of southern Iran. Chinese have already visited that region for site selection, but we have not come yet to a final agreement,” the news agency on Monday quoted him as saying. Iran plans to build 20 nuclear power plants to produce 20,000 megawatts of electricity as the country is seeking to reduce its reliance on oil and gas. On Saturday, the country began constructing two new facilities with Russian help. Salehi said some European countries, which he did not name, have started initial talks with Iran about participation in the projects but no agreements have been reached yet. The Islamic Republic is also ready to consider any proposal from Japan along with “lucrative commercial support” but the issue has not been raised by either side, he said. “Of course if we receive any suggestion or any proposal from Japan that would sound very interesting to us, we would certainly be ready to enter negotiation in that domain,” Salehi said, according to Kyodo. “Japan is a very cautious country so we have to wait until things evolve. So we are not in a hurry. Whenever the Japanese are ready, we are ready,” he added. Iran already runs its first nuclear power plant in Bushehr on the Persian Gulf, which joined the nationwide grid in 2012 with a 1,000-megawatt capacity. Russian state-owned company Rosatom started the construction of Bushehr-2 on Saturday in a plan worth $10 billion. The 10-year project will include two power plants each with a capacity to generate 1,000 megawatts of electricity. The project is part of a deal signed with Russia in 2014 to build eight new nuclear power plants in the Islamic Republic. When these two units become operational, 11 million barrels of oil will be saved per year and emission of seven million tonnes of greenhouse gas will be avoided,” project manager Mahmoud Jafari told the ground-breaking ceremony. Iran has been pushing to join the international nuclear market since reaching a nuclear accord with the West and other countries last year. The agreement led to Iran’s sale of 32 tonnes of heavy water to the United States, with negotiations underway for similar contracts with Germany, France and Russia. Salehi said Iran is also ready to sell part of its heavy water stockpiles to Japan, Kyodo reported. The two countries have already been exchanging experts to increase the level of security and safety at Iran’s nuclear facilities. Salehi said Japan has expressed interest in setting up a “center of excellence” in Iran on safety issues along the European Union. “So there may be a trilateral cooperation between Iran, the EU and Japan in this matter,” he said. According to the Iranian official, there is still scope for Iran and Japan to expand their cooperation, specifically the training of Iranian experts in the so-called “3S’s” — namely safeguards, safety and security — a topic that the European Union is also interested in. “Everything is going well in this domain,” he said.